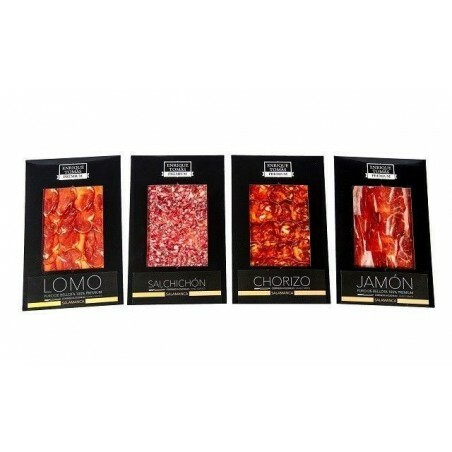 This Box with Iberian Flavours of Pata Negra offers you the opportunity to try all the Bellota 100% Iberian products produced in this particular origin known by its smooth flavour: Jamón, Lomo, Chorizo and Salchichon. Coming from a 100% Iberian pig fed with acorns in freedom during the Montanera-season, all these Iberian pigs have been cured in Guijuelo, like the famous Guijuelo ham, which has a pleasant, mild taste, delicious and not very invasive. 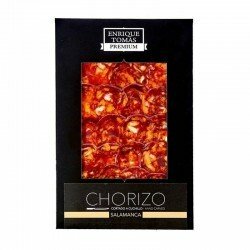 The Jamón of Salamanca, better known as Jamón de Guijuelo, is undoubtedly the perfect Jamón for the whole family. 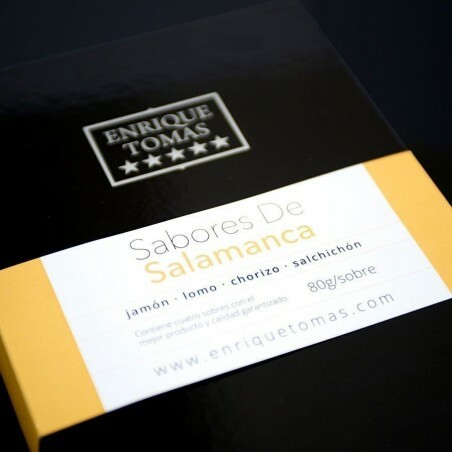 Its mild and pleasant taste makes all products with Salamanca origin delicious, and its non-invasive nuances make the Jamón of Guijuelo a good choice. Pack with Jamón and wine. Are you looking for something more complete as a Christmas humper? 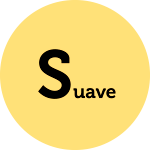 Well, Enrique Tomás we have it too. 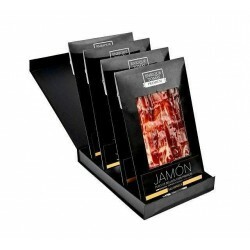 Thanks to our savings packs you will find in a single package jamón, wine and “Sevillian picos”.